The Palm Island Club opened in 1922 at 159 Fountain Street on Palm Island in Miami Beach. Prohibition? Not here. Booze flowed. 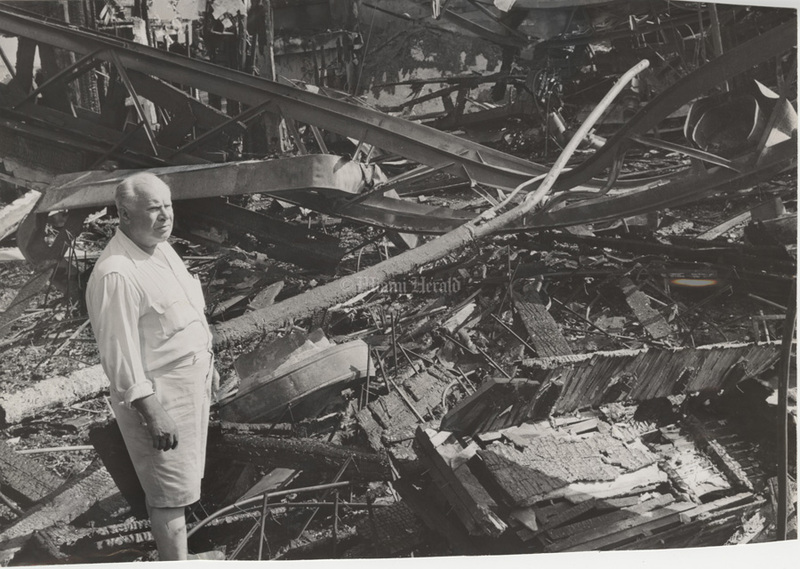 But 159 Fountain Street’s most famous identity came in 1939 when New York producer Lou Walters (father of Barbara Walters) reopened the venue as The Latin Quarter. A ritzy nightclub, the venue drew performers Sammy Davis Jr., Sophie Tucker, and Milton Berle. 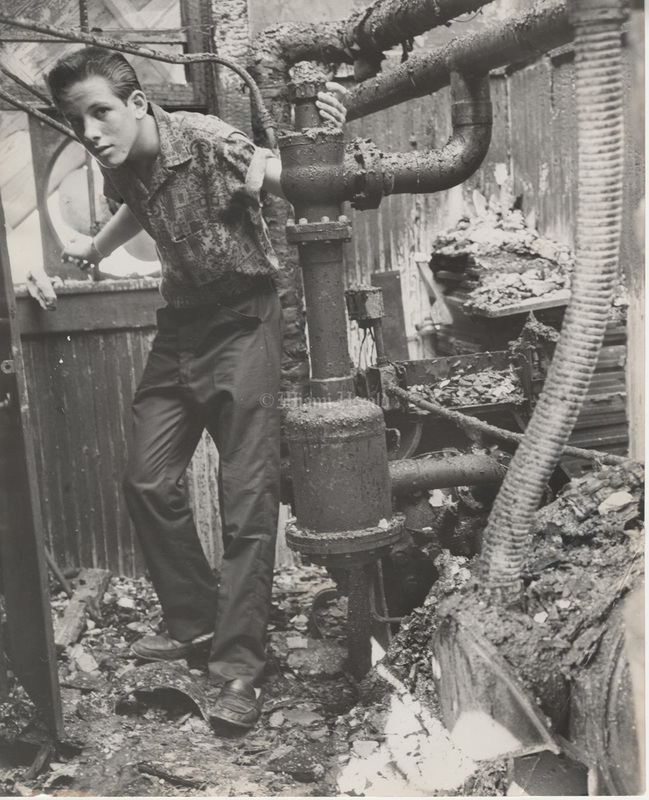 In 1959, the Latin Quarter burned and never reopened. 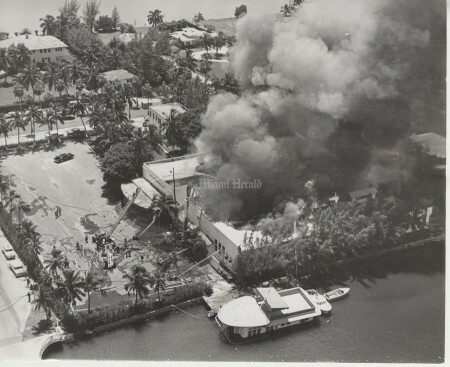 Its blackened, battered remains sat tattered until the city ordered their removal in 1968. 8/27/1959: Doug Kennedy/Miami Herald Staff -- Smoke billows from the blazing Latin Quarter nightclub on Palm Island in Miami Beach. 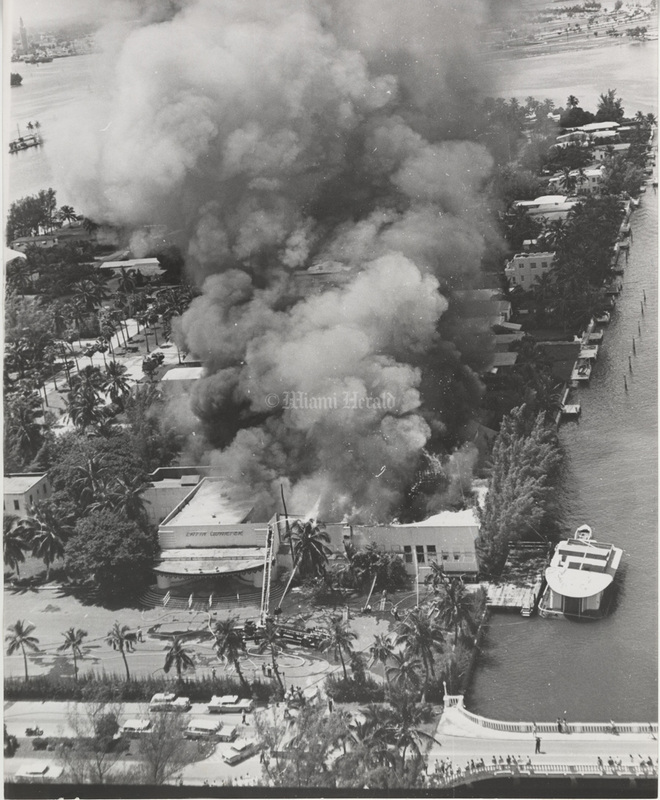 8/27/1959, Miami Herald Staff -- Smoke billows from the blazing Latin Quarter nightclub on Palm Island in Miami Beach. 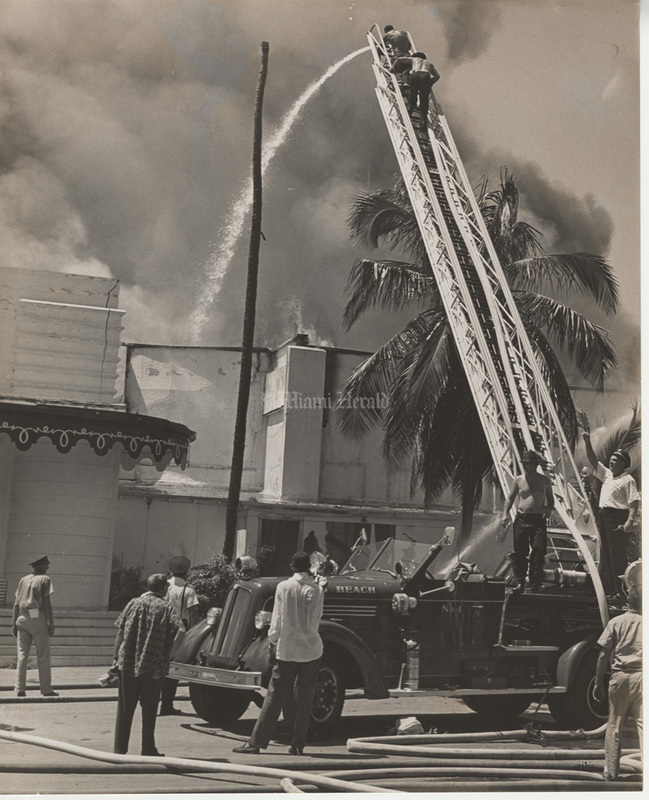 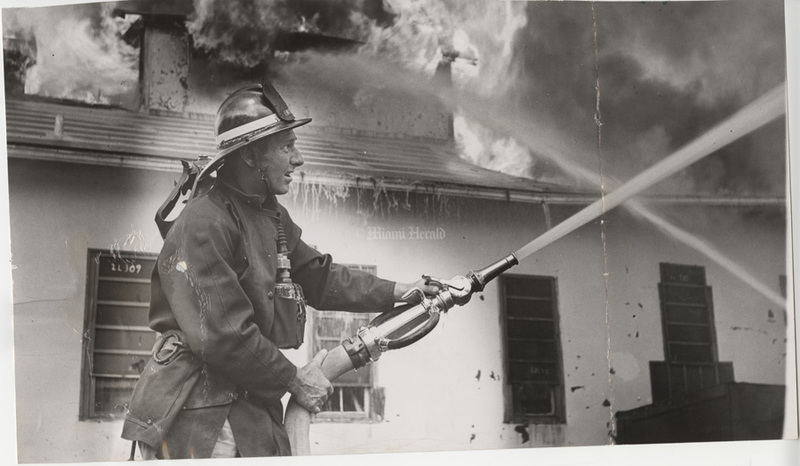 8/27/1959: Doug Kennedy/Miami Herald Staff -- Miami Beach Fire Department ladder truck No. 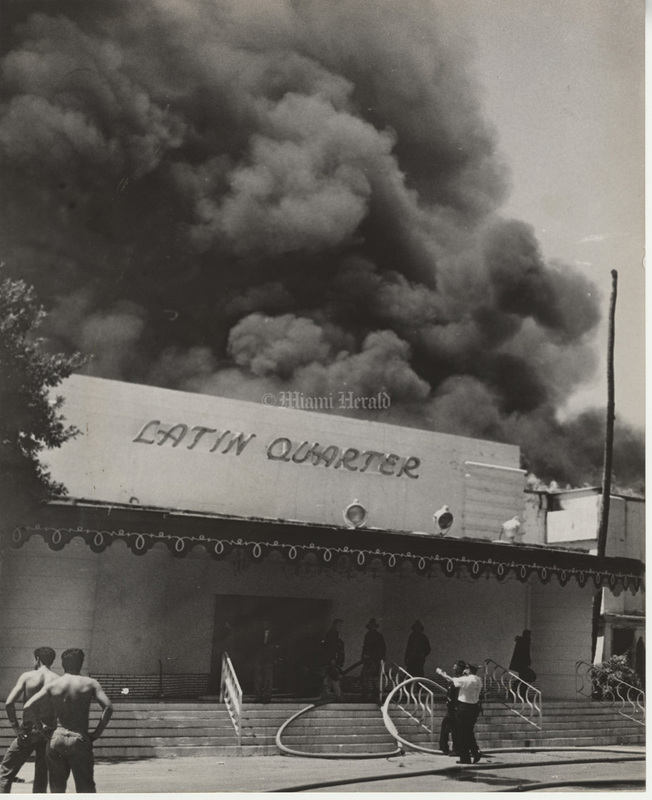 1 battles blaze at Latin Quarter nightclub. 8/27/1959: Doug Kennedy/Miami Herald Staff -- Fire fighter battles blaze at the Latin Quarter nightclub. 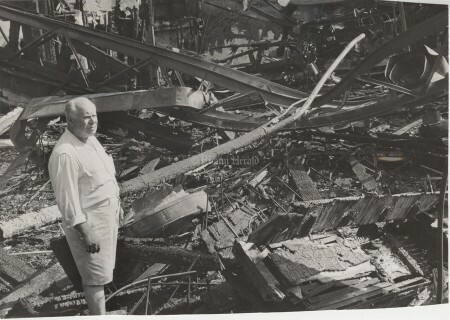 8/28/1959: Steve Wever/Miami Herald Staff -- E.M. Loew, owner, looking at stage of the Latin Quarter nightclub after fire. 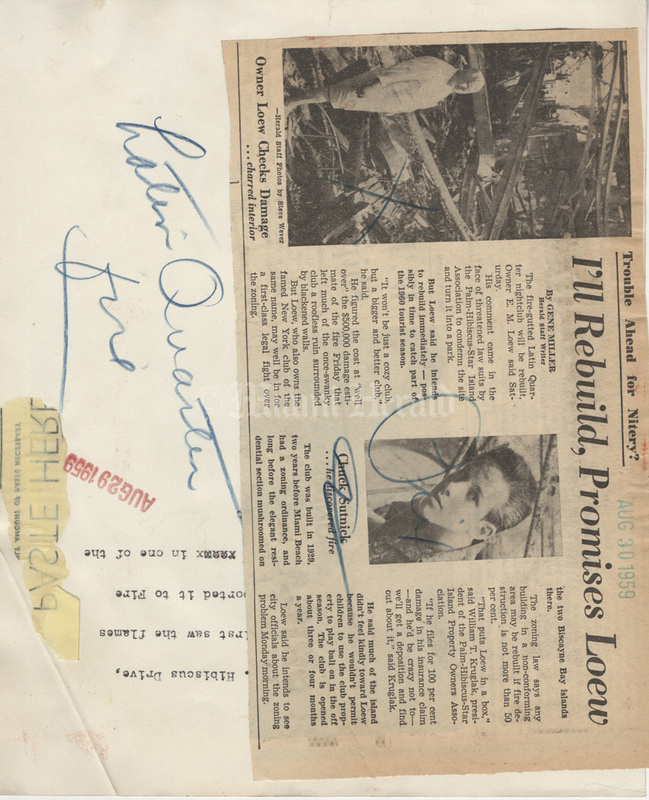 He said he would rebuild. 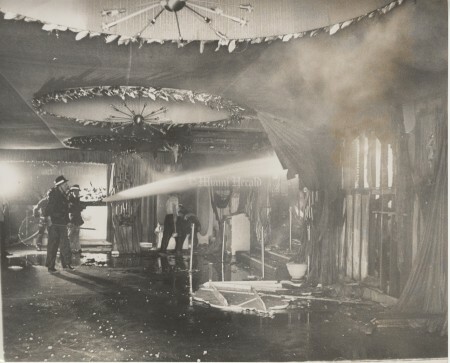 "It won't be just a cozy club, but a bigger and better club," he said. 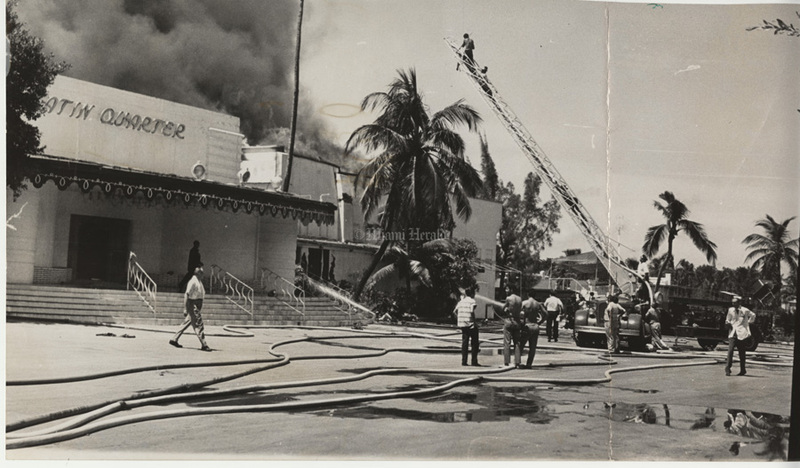 8/28/1959: Steve Wever/Miami Herald Staff -- Chuck Sutnick discovered the fire at the Latin Quarter nightclub. 8/27/1959: Doug Kennedy/Miami Herald Staff -- Ladder truck battles fire at Latin Quarter nightclub. 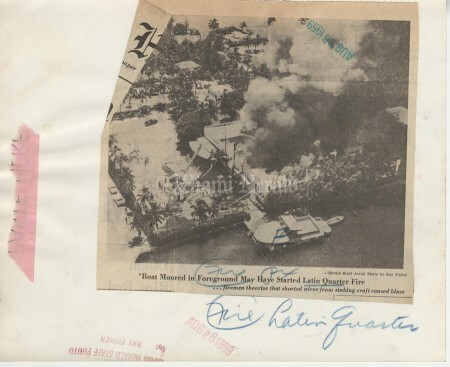 8/27/1959: Ray Fisher/Miami Herald Staff -- Boat moored in foreground may have started Latin Quarter fire... firemen theorize that shorted wires from sinking craft caused blaze. 8/27/1959: Doug Kennedy/Miami Herald Staff -- Fire fighters battle blaze inside the Latin Quarter nightclub. 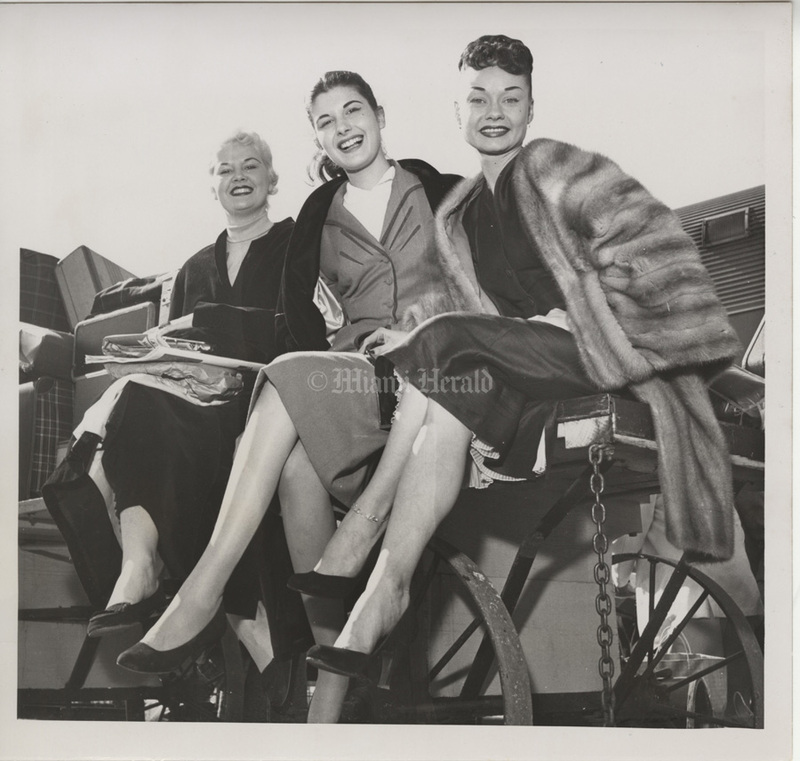 12/20/1954: Bill Sanders/Miami Herald Staff -- Latin Quarter showgirls, left to right Betty Hammann, Sheila Stampler and Baby Lake. 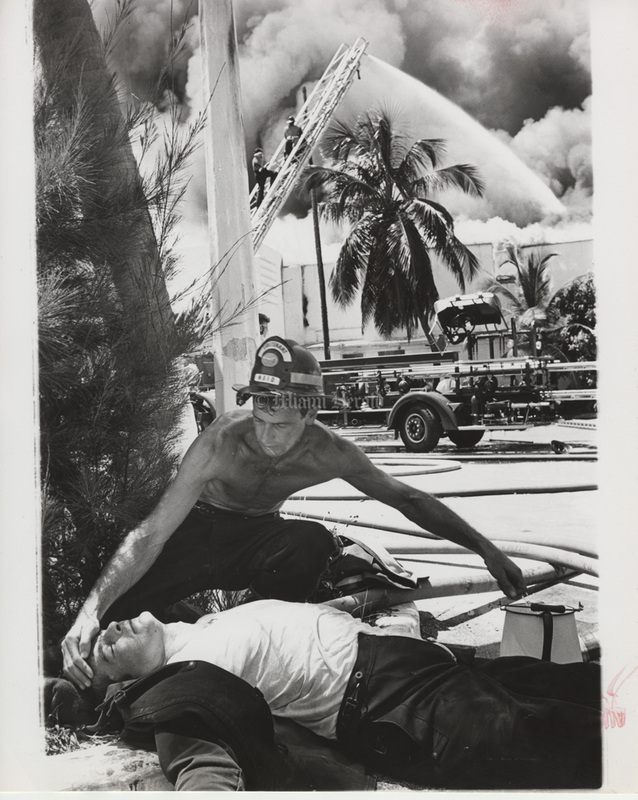 8/27/1959, Miami Herald Staff -- Miami Beach Fire Department lieutenant doses the brow of another fireman with water in the heat of an August blaze at Latin Quarter nightclub. 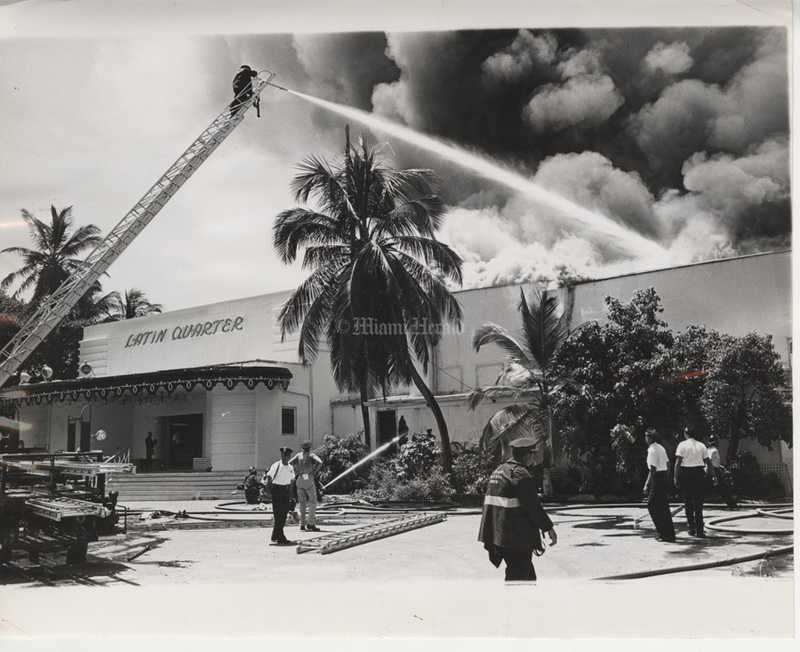 8/27/1959: Doug Kennedy/Miami Herald Staff -- Smoke billows from the roof of the Latin Quarter nightclub on Palm Island in Miami Beach. 8/27/1959, Miami Herald Staff -- Smoke, heat and fatigue take their toll ...overcome fireman is helped from blazing Latin Quarter nightclub by colleagues. 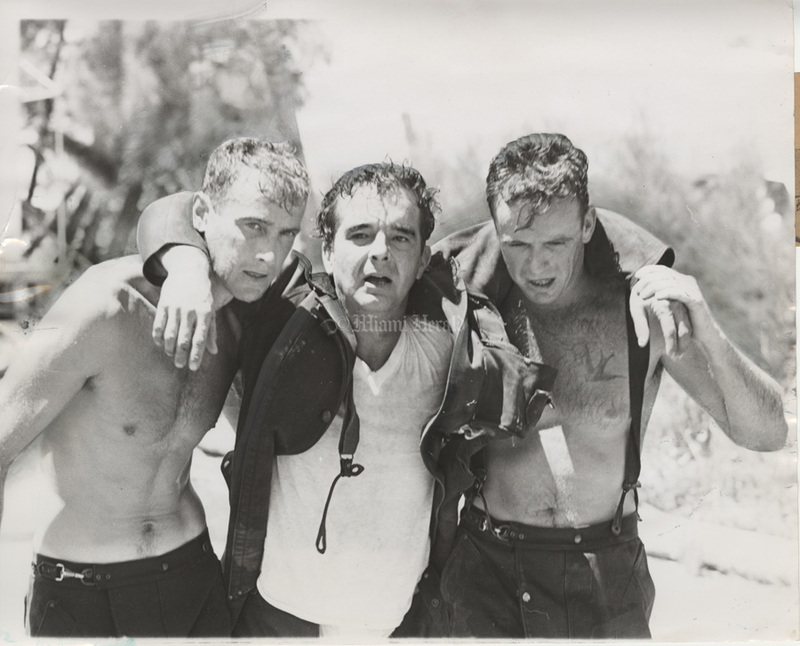 Overcome by smoke and given treatment were Firemen Ed Preston, James McMahon and Gordon Neuce.